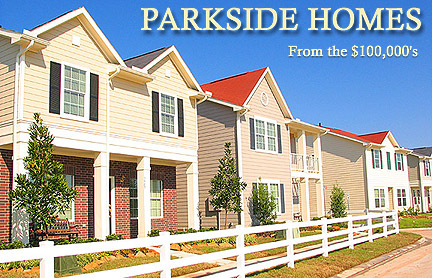 A premier master planned community, located in Fort Bend County, about 3o miles south of Houston off Hwy 6. Features beautiful new homes priced from $100,000 to $1 million, now available from some of Houston's top new home builders including, Plantation Homes, Trendmaker Homes, David Powers Homes, Legacy Homes, David Weekley Homes, Parkside, Hammonds , Ryland , Newmark, Ashton Woods, Perry Homes, Coventry Homes and Fredrick Harris Estate Homes. These home builders have many floor plans and models to chose from, so make the trip to this stunning plantation style development and see for yourself what an magnificent community Sienna Plantation really is. A 10,500-acre deed-restricted community situated along 4.5 miles of the scenic Brazos River in Fort Bend County, with 2,000 acres devoted to park lands, golf courses, recreation areas, lakes and nature preserves.. Sienna Plantation is designed for 20,000 homes and 70,000 residents. With a premier location, wooded setting, world-class recreational amenities, and state-of-the-art technology, Sienna Plantation exemplifies master-planning at it's finest. A southern plantation-style community center offers abundant exercise classes weekly, as well as a state-of-the-art workout facility and meeting rooms with a catering kitchen. A terraced outdoor amphitheater, with its stage suspended over Waters Lake, is designed for concerts and the performing arts. A half-acre children’s playground - the largest of several within the community - features a sand volleyball court and age-specific activity structures. The Club Sienna tennis complex includes eight lighted courts. Club Sienna features the largest, private, resort-style water park in the South. The pool covers more than an acre and includes an eight-lane competition pool, multiple diving areas with a three-board diving well, a water tower with over 200 feet of slides, a zero-entry pool and Sienna "waterworks." Club Sienna also, includes a half-acre children's playground, a tennis center with eight lighted courts and an outdoor amphitheater overlooking Waters Lake. There's a 7,500 square-foot southern plantation-style community center featuring two multi-purpose community meeting rooms, a fitness center and cabana. Sienna Plantation is conveniently located south of U.S. 288 West at Hwy 6. With the recent approval of the Fort Bend Parkway, Harris County Toll Road Authority simultaneously will extend the Parkway from Beltway 8 to U.S. 90A North. The Fort Bend County Toll Road Authority will build the section of the Parkway connecting Beltway 8 to Hwy 6-virtully at the entrance to Sienna Plantation. Sienna currently offers residents numerous commuting options, such as FM 521, State Highway 288, and Beltway 8, for commuting to major employment corridors including the Texas Medical Center, the Central Business District, and the Galleria. Sienna Residents are served by the Fort Bend Independent School District, nationally recognized for providing students with outstanding education. Sienna's master plan calls for seven elementary schools, two middle schools, one high school and a number of private schools to be built within it's borders. Sienna Crossing Elementary-Features multi-media, networked computers, in each classroom, a 24 computer lab visited twice weekly, an online book inventory and eight computer stations in the library, as well as on site production studio where students produce daily news broadcasts, the school is one of the most technologically advanced elementary schools in Fort Bend. Lake Olympia Middle School-Technology is top notch at the school, with computers and internet access in each classroom, plus a bank of computers for use by each academic team for student research and writing. L.V. Hightower High School-showcases innovativeness in both traditional and academy curricula. Home to four career academies- Engineering, Medical Sciences, Computer Technology and Broadcasting. Hightower also offers beginning and advanced courses in a diverse array of subjects including five levels of French and Spanish. Hightower also boasts a winning athletic program and makes a strong showing in UIL competitions. Designed by renowned architectural firm of Arthur Hills & Associates and contoured for dramatic elevation changes, the course winds through a forest of live oaks, cedar elms, and other native trees. Broad lakes intertwine with golf-course corridors, offering distinctive risk/reward shot values and spectacular home sites. The Woods at Sienna is a new class of planned acreage community, offering one-acre home sites, plus the protective restrictions of a master planned community. Following the success of the first phase of The Woods at Sienna, a new acreage community in Sienna Plantation, the second phase of home sites is now available. The first phase of 35 home sites sold out in only two weeks. 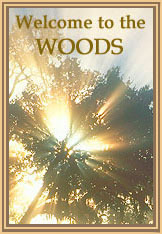 "The success of The Woods has been phenomenal," said Sienna general manager Doug Goff. "A large percentage of the home sites sold the first day – many to current Sienna residents." Many of the home sites just west of Bee’s Creek Market on Sienna Parkway are larger than one acre, are forested and have water views. White tailed deer, ducks, birds and squirrels roam the Sienna woods. New Homes priced from the $100's to $2 million.